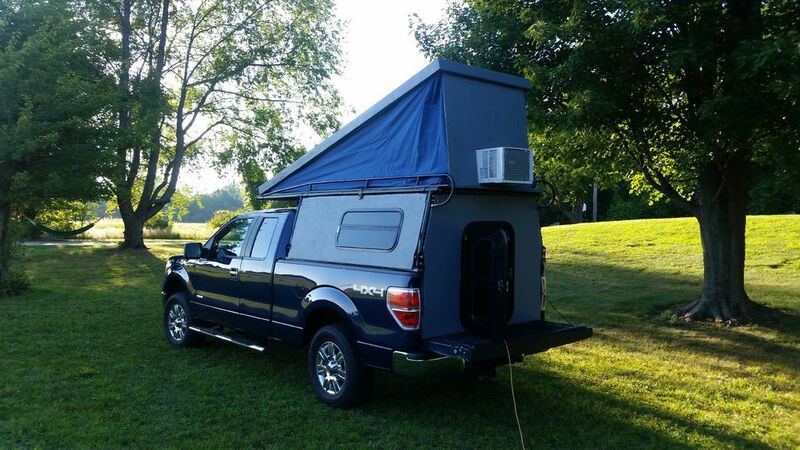 This DIY truck camper was inspired by the classic Volkswagen pop-top camper vans. 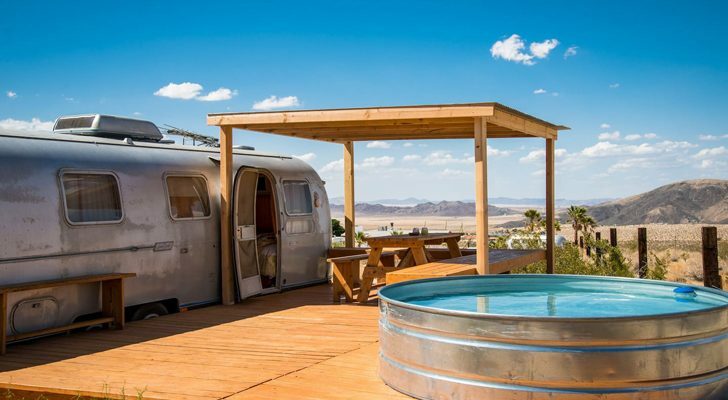 Here's how it was built for less than $1,500. 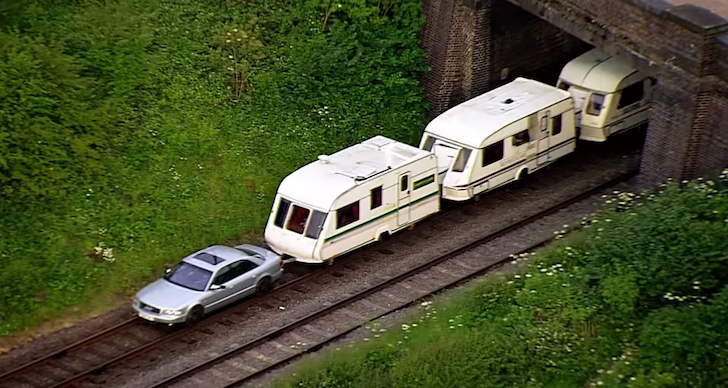 Manufactured RVs are not made to fit everyone’s specific needs, style, or budget. 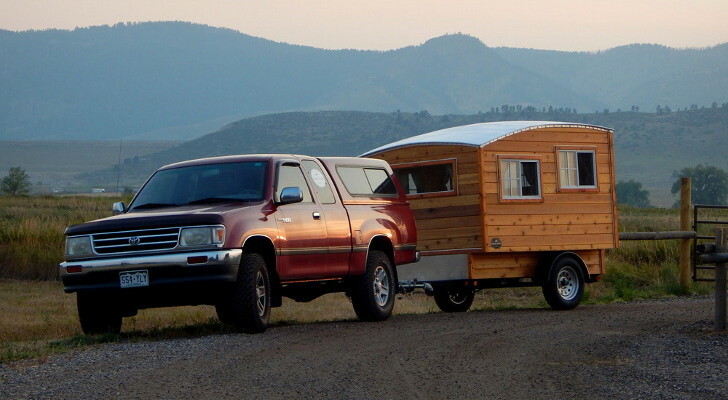 A lot of people have instead turned to the DIY method and built out their own custom-tailored camper at home for a fraction of the cost. 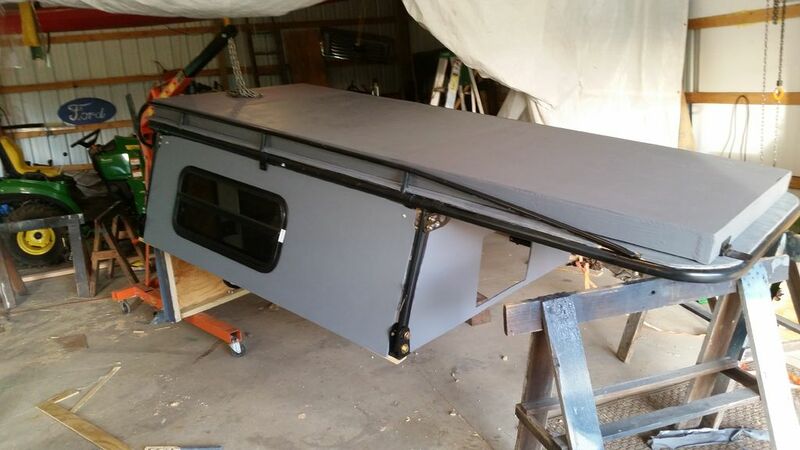 Instructables member Rvanwort shared how he made his own DIY truck camper with a pop-top roof inspired by classic Volkswagen camper vans. 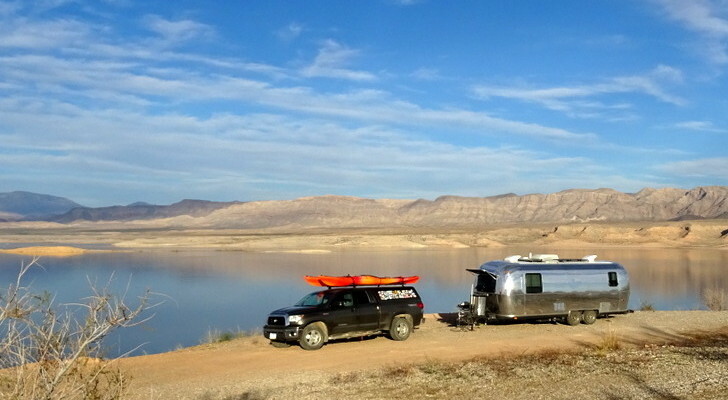 He wanted something with the same style as vintage VWs, but also more reliable as it would be used for a road trip across the Western U.S. with his family. 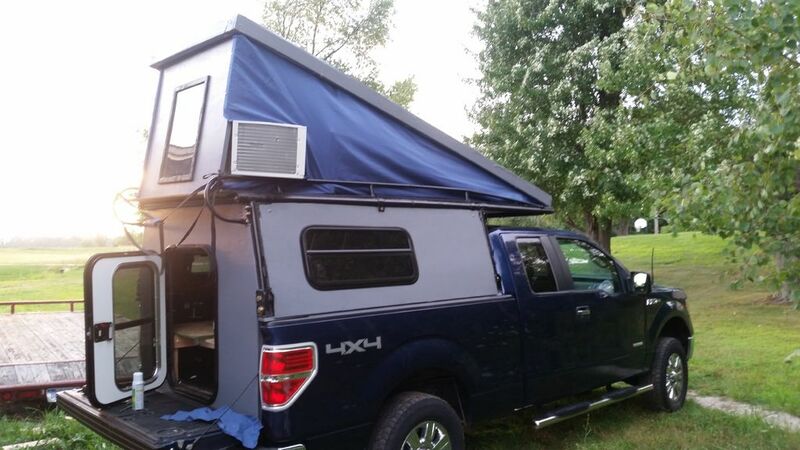 The camper was custom built for his 2012 Ford F-150 extended cab pickup, but you could easily modify his plans and materials to fit any type of truck. 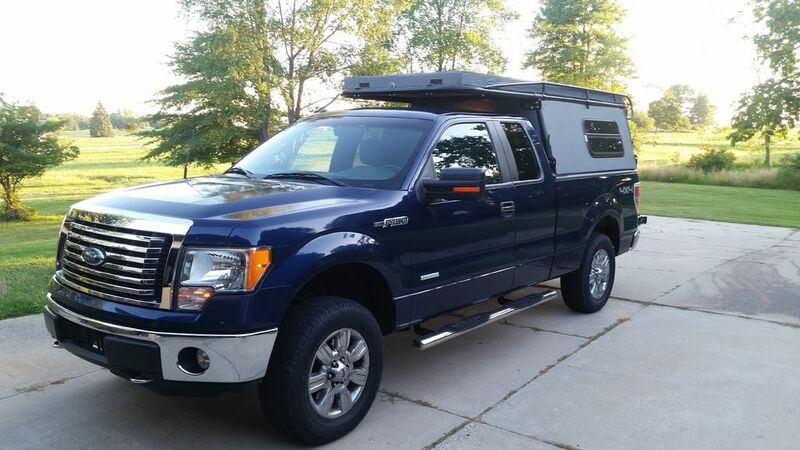 Tools and supplies cost him less than $1,500 total—a major bargain compared to what brand new truck campers are selling for. 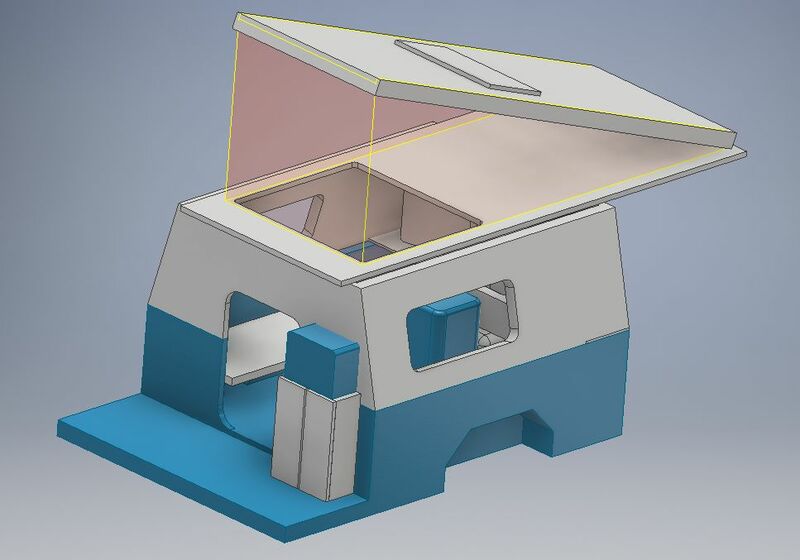 He used Autodesk Inventor to create a computer model of his camper design. 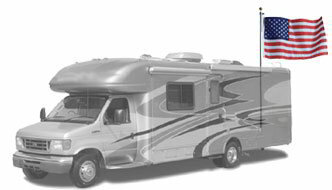 While you don’t have to have the design software, it can be very useful to help visualize your camper’s layout instead of building without a plan. 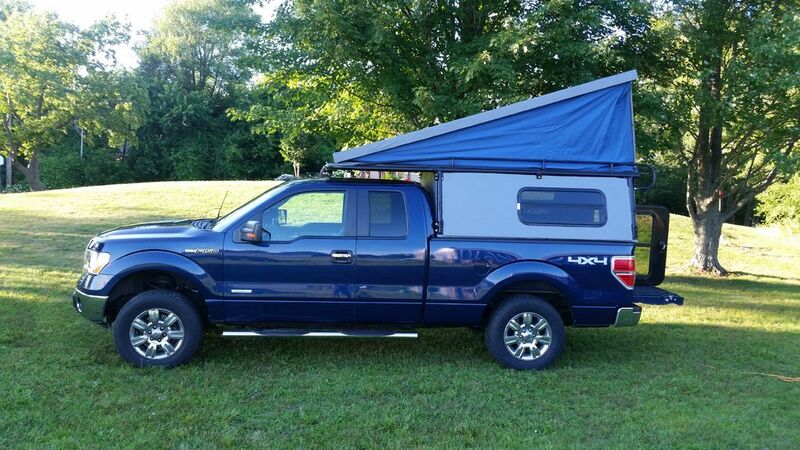 The frame of the camper was made with a Universal Roof Rack from Harbor Freight. 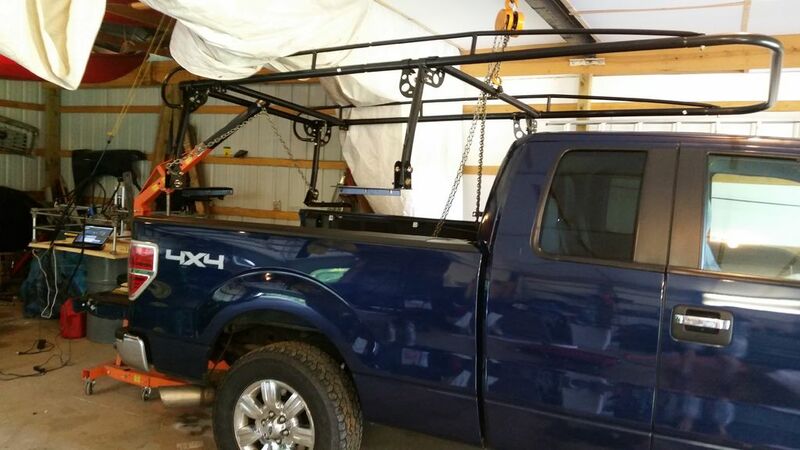 The roof rack is adjustable to fit both long and short-bed trucks and capable of carrying a load up to 800 lbs. 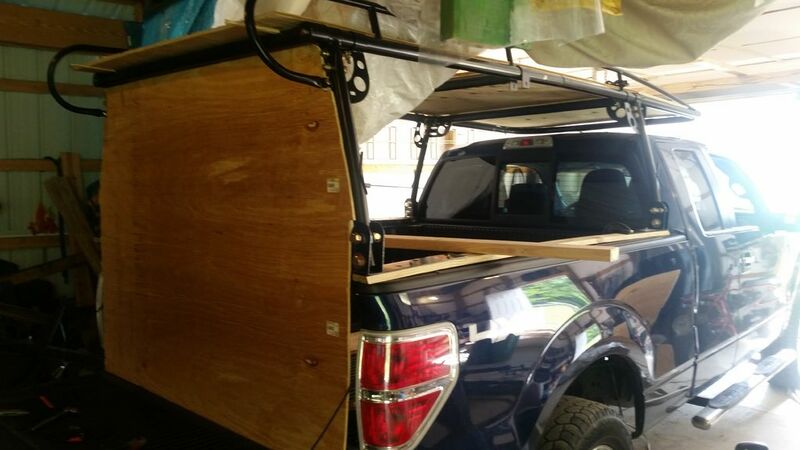 Once the frame was assembled, he made cardboard templates to fit in all four sides of the roof rack. These templates were then used to trace and cut out his plywood. He also traced and cut out the openings for the windows and doors. The plywood was covered with poor man’s fiberglass. This process involves mixing Titebond II with primer, paint, and material like bed sheets. 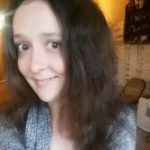 He followed these directions and let it dry for 24 hours. 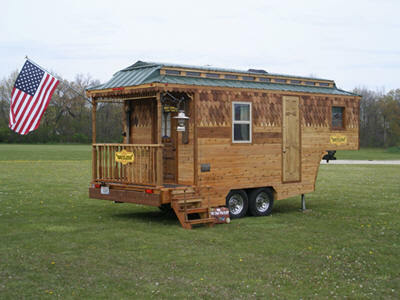 The hinging roof was also constructed of plywood and treated with poor man’s fiberglass. Some galvanized channel from the drywall section of Home Depot was spray-painted black and pressed on the edges of the roof plywood sheets for a more polished look. 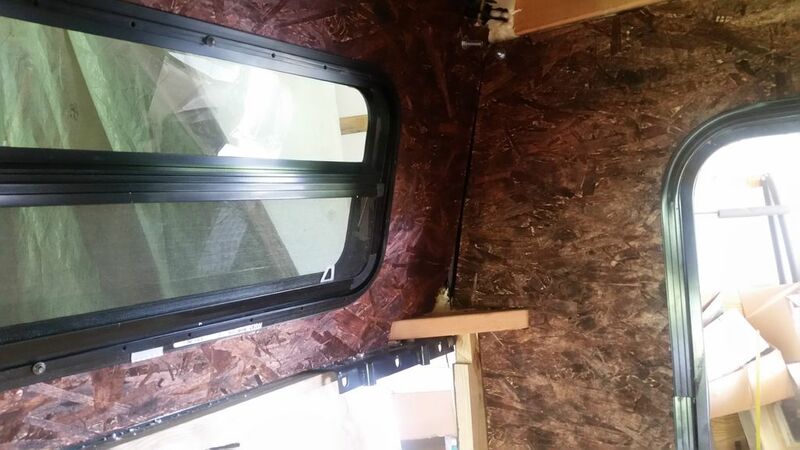 All of the joints of the camper were caulked for a watertight seal. 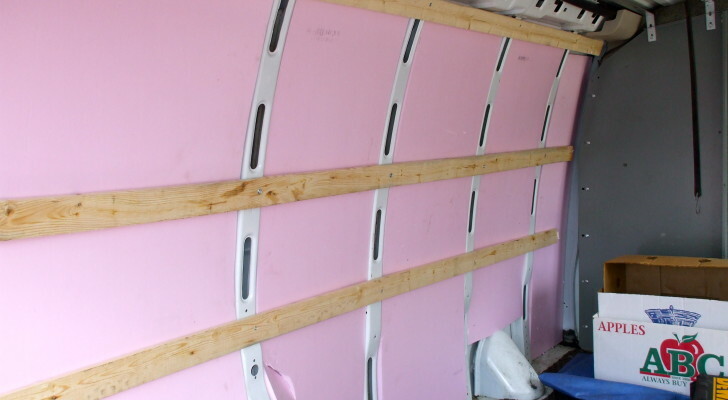 The interior was insulated with styrofoam and foam can insulation to fill in the gaps. Stained OSB panels were used to build out the interior walls and glued and bolted into place. 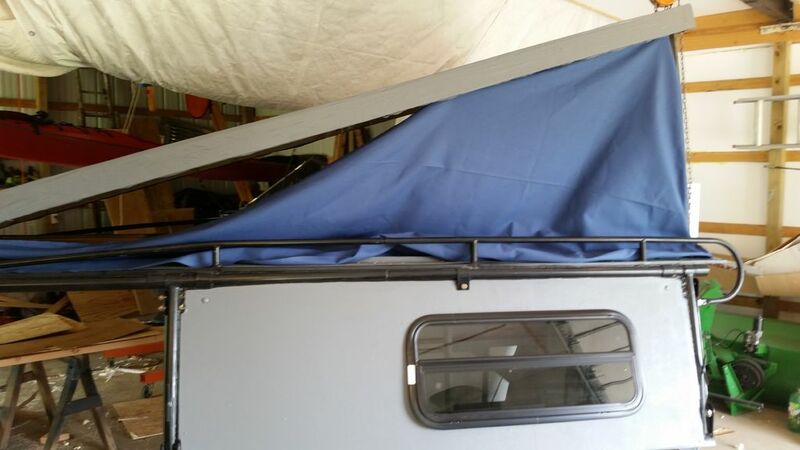 The roof has one hard end that hinges down and two soft sides made of duck canvas. The fabric was folded diagonally and cut in half to create 2 triangle-shaped sides. He folded a 1-inch seam and stapled the canvas to the inside face of the 2x4s on the lid. The Instructables project focused on building the camper shell as the interior is still a work in progress. He did add in some short plywood pieces to start laying out the frame of his bed. 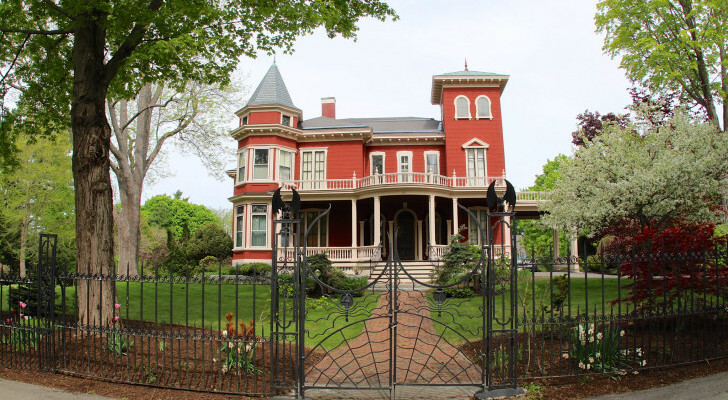 He also finished caulking the interior and trim work inside and hopes to add in lighting after testing to ensure all of his exterior joints were properly sealed. You can get the full list of materials and instructions from Rvanwort on Instructables here.